For many patients, this is one of the first questions that is asked when working with Abilities In Motion. Recently we spoke to Joy Lawson, an above knee amputee, about how she returned to driving after her amputation. For Joy, the primary motivator was the ability to have freedom and independence. There are a variety of adaptive devices that can safely help individuals with disabilities operate a motor vehicle safely. Since Joy wears a prosthesis on her right side, her vehicle was modified with a left foot accelerator. 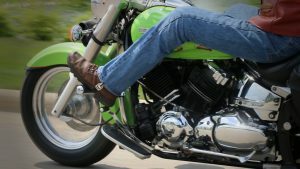 For other amputees, the accelerator and brake can be regulated using hand controls. Because every situation is different, it’s important to consult a professional that can offer individualized options. Once you have completed a clinical evaluation, and received a “Vehicle Modification and Adaptive Equipment Prescription for Driving and/or Transportation” from a Licensed Driver Instructor, you will need to take the prescription to a licensed dealership to have an adaptive equipment installed on your vehicle. Ohio American Bus & Accessories (800-582-7118, www.american-bus-inc.com) are authorized dealers in southwest Cincinnati. 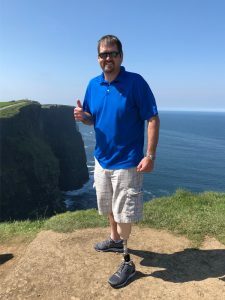 Many individuals who have lower limb prosthetic devices can drive vehicles safely and effectively with a few modifications. This enables you to live your life more normally, relying less on others for transportation. • Many states have specific requirements for reporting conditions that affect your ability to drive. • You must have a physician’s approval to return to driving. • Speak with your doctor and therapist if you are considering a return to driving. • You may need to have a clinical evaluation. Offers Driving Program by a licensed occupational therapist with behind-the-wheel evaluation. They require a physician’s prescription. Need Driver License & Doctor Prescription. This is an out-of-pocket service. • You may need a behind-the-wheel evaluation, which includes simple neighborhood driving and progresses (when safety allows) to highway driving. • You may need specialty testing and training with car adaptations and equipment (i.e. lift, spinner knob, left foot accelerator, or hand controls). • Once you have completed a clinical evaluation, and received a “Vehicle Modification and Adaptive Equipment Prescription for Driving and/or Transportation” from a Licensed Driver Instructor, you will need to take the prescription to a licensed dealership to have an adaptive equipment installed on your vehicle. (Estimated cost for left foot accelerator – $600-$800). Check with your individual insurance company for coverage. •The Licensed Driver Instructor will also submit the recommendation for a drivers test to the Ohio Department of Public Safety Bureau of Motor Vehicles (BMV) who will invite you to take a Driving Test and Maneuverability Exam. •Prior to taking a Driving / Maneuverability Exam, the BMV will first send a request for Statement of Physician form, (BMV 2310A) with an instruction letter regarding completing the form for you and your physician. •After the BMV receives the “Request for Statement of Physician” form with an ok from the physician to operate a motor vehicle, the BMV will set up an appointment for the exam at a Driver License Exam Station. 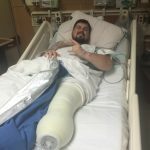 Brian Donnellan has always been active, but two years ago he was hit with the news that his leg would need to be amputated below the knee. Over the past two years he has been partnering with Abilities In Motion to achieve his goals of an active lifestyle. GET A TUNE UP. 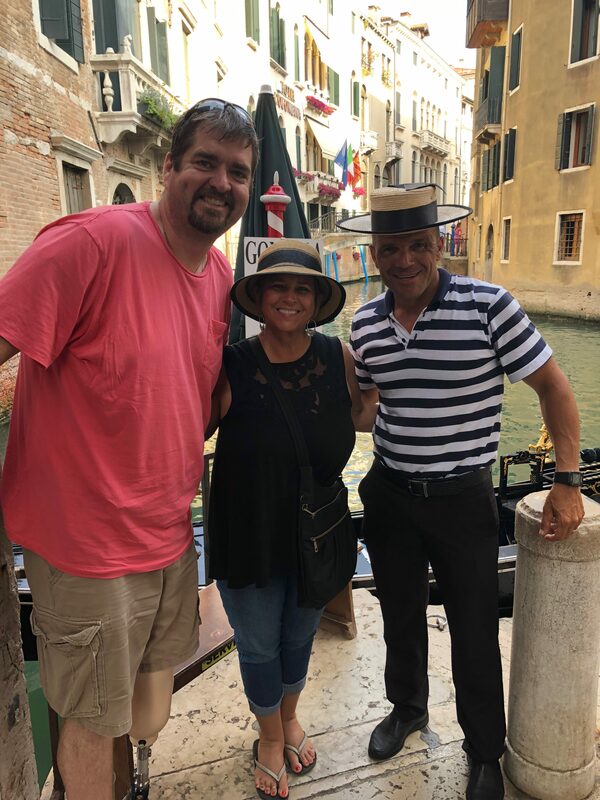 A few weeks before traveling, Brian made an appointment to see the experts at Abilities In Motion. They were able to check his prosthesis and were able to make adjustments before he traveled. Brian was also fitted with a swim leg*, which is a secondary device that is waterproof. This helped Brian use smaller showers that are typical when traveling internationally. GIVE YOURSELF EXTRA TIME AT TSA. We have all been told to arrive early and allow extra time to get through security, but this is especially true when wearing a medical device. Brian strongly recommends using the handicap line when going through TSA. Brian also chose to wear shorts to make inspecting his leg easier. CHECK AN EXTRA BAG. According to Air Carrier Access Act (ACAA), a suitcase that contains only “assistive devices” are exempt from checked bag fees. You will want to notify the agent that your bag contains such equipment and will likely be asked to open the bag to verify its contents. Remember, baggage can be misrouted or lost during travel, so it is important to make sure you carry on your most important equipment and supplies. ASK FOR EXTRA LEG ROOM. Brian asked his airline for extra leg room to help accommodate his prosthesis. The airline responded to his request, and because he was comfortable assisting in the event of an emergency, this allowed him to sit in an exit row. During a longer flight, this extra room can be invaluable. 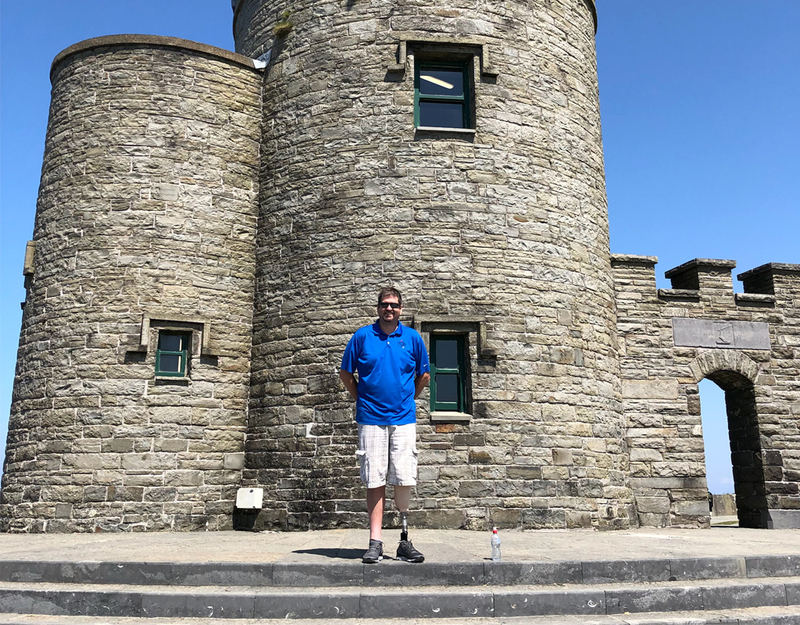 During his trip, Brian was able to enjoy the Cliffs of Moher. “I felt comfortable the entire time. My wife was a little concerned that I was standing on a 1,000 foot cliff, but it was easy,” says Brian. He was also able to walk though the Coliseum in Rome and walked for miles on his trip. Please note, the information contained in this post is based on this individual’s experience. Individual situations vary. We recommend that you do your own research to fully comply with TSA and airline policies and restrictions. 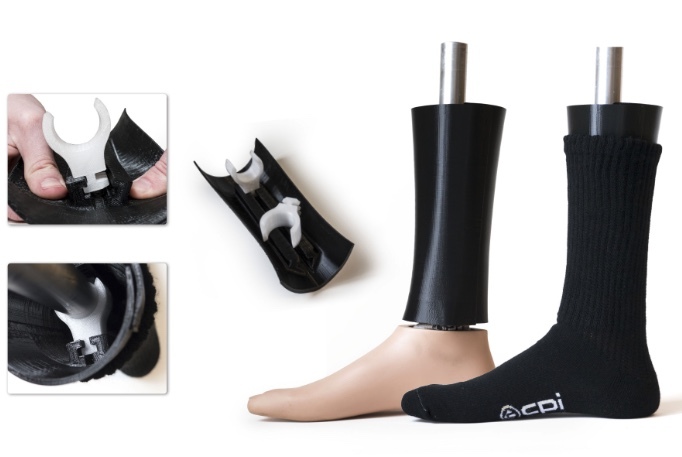 *Swim Leg: Standard prosthetic legs are not able to be exposed to water because of some components are not waterproof. Swim legs are designed for swimming, bathing and other aquatic activities. They are typically not covered by insurance, but Abilities In Motion works to help accommodate patients with affordable solutions when necessary. 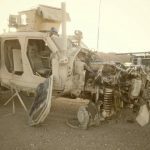 JOSH’S STORY: November 12, 2011 will forever be known as Corporal Joshua Sust’s Alive Day or the day he cheated death. On mounted patrol in Helmand Provence, Afghanistan, his unit encountered an Improvised Explosive Device (IED). 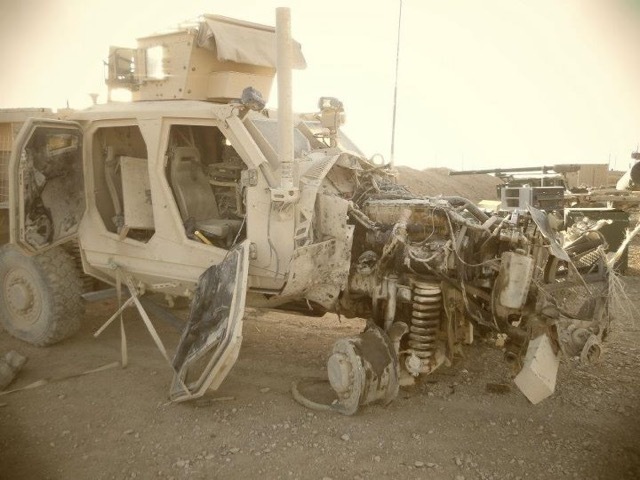 Josh’s last memory that day was watching his helmet fly off his head, and he suffered major injuries to his left leg and arm. 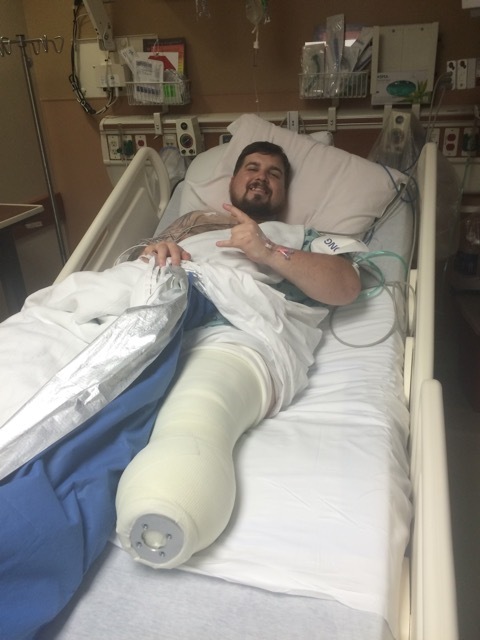 After three years of constant pain in his leg, Josh went through an elective procedure to amputate his badly injured leg. 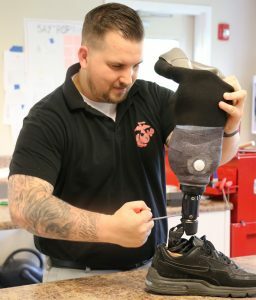 He had been inspired by the examples of his fellow Marines that are enjoying active lives with below knee amputations. 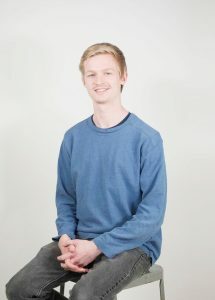 Josh’s relationship with Abilities In Motion began when he was fitted for an IPOP (Removable Immediate Post Operative Cast) by Tom Walsh. This device was key to his recovery because it allows the patient to keep his/her leg straight and protects the incision site. Josh’s enthusiasm and zest for life is contagious. Because he wants to continue to pay it forward, it was a natural move to make Josh a valuable member of the Abilities In Motion team. “Josh is able to speak to patients with an empathy and understanding that only someone with his experiences can express,” says Tom Walsh. “He is able to coach and inspire patients to keep moving forward”. If you or someone you know could benefit from a visit with someone living with limb loss, contact our office today at (513) 245-0253. For Ron Davis, riding a motorcycle is not simply a hobby… it’s a way of life. In an instant everything changed. While on his bike another driver turned in front of him and he was involved in an accident that caused him to lose his left leg below the knee. Almost immediately, Ron was determined to ride again. 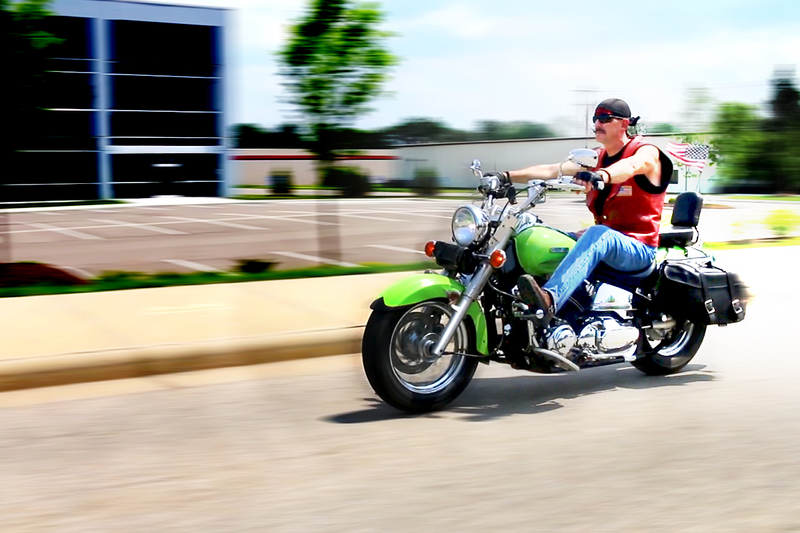 “My goal at the beginning was to be able to be back on a motorcycle in less than a year,” said Ron. When Ron was not getting the prosthetic solutions he needed from his provider, his doctor referred him to Abilities In Motion. 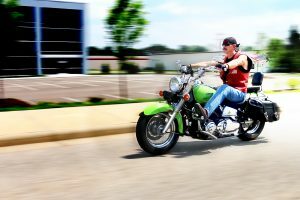 The professionals at AIM were able to identify Ron’s particular needs and gave him components that he needed to ride again. Two days before the anniversary of his accident, Ron rode again. It was an emotional moment for Ron and his wife, as his motorcycle club gave him an ovation that he won’t soon forget. Learn more about Ron by watching the video above. Abilities In Motion has two locations in Cincinnati and is always seeking new and innovative ways to meet the needs of lower limb amputees. More information, including stories of other veterans can be found on their website at www.abilitiesinmotion.com. Jay Estoquia, ABC Certified Prosthetist. 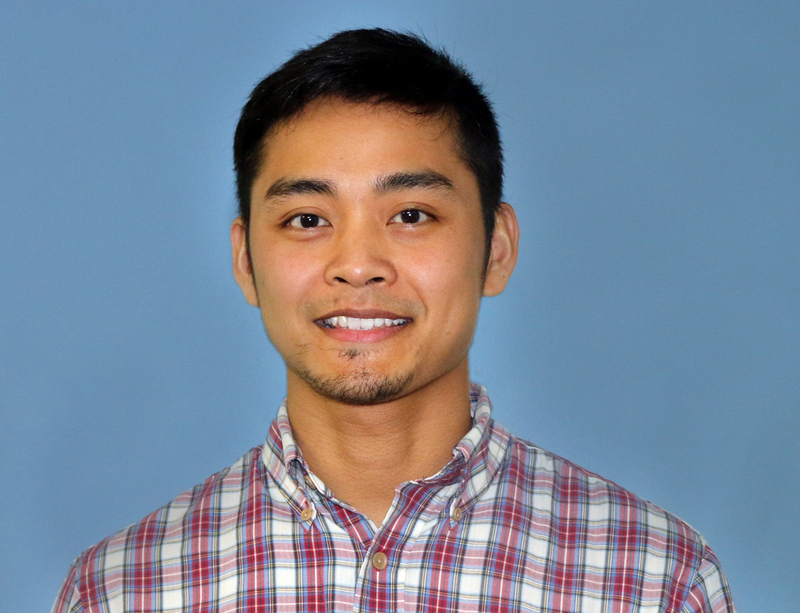 Jay Estoquia has completed the residency he began with Abilities In Motion and is now an ABC (American Board of Certification) Certified Prosthetist. Estoquia is a graduate of Bellarmine University with a Bachelor of Arts in Exercise Science and the University of Washington where he received his Masters Degree in Prosthetics and Orthotics. Jay was born in the Philippines and immigrated to the United States, making Cincinnati his home when he was four years old. “It was very difficult at first, because I didn’t know the language, and I had to begin school quickly after landing in The States”, he recalls. 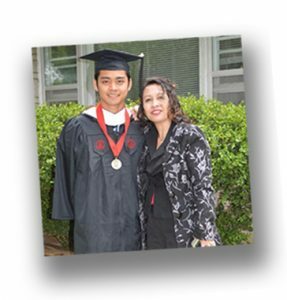 Jay adapted quickly and excelled in school. When the time came to choose a career, he was initially uncertain. Over the past few years, Abilities In Motion has been working to incorporate 3D printing in our practice. AIM partnered with the University of Cincinnati’s College of Design, Architecture, Art, and Planning (DAAP) and invited Marcus King to take a lead role in this project. 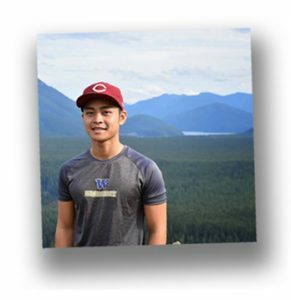 Marcus provided outstanding leadership and made significant progress during his time at Abilities In Motion. He designed and built a custom 3D printer that was able to provide significant R&D for printing custom covers and sockets. Marcus’ work is featured here, and his work will be featured at DAAPWorks (more information here or below). Abilities In Motion would like to congratulate Marcus in his upcoming graduation from the University of Cincinnati and are thankful for his contribution to help Abilities In Motion MOVE FORWARD! The American Warrior Initiative and area realtors presented Abilities In Motion’s Josh Sust a $5,500 grant last week. Josh became an amputee as a result of his service in the US Marines during his third deployment in Afghanistan. The grant will allow him to hire a personal trainer to aid him in his recovery. Lori Boswell, Sean Parnell and Louise Thaxton present $5,500 grant to Josh Sust. 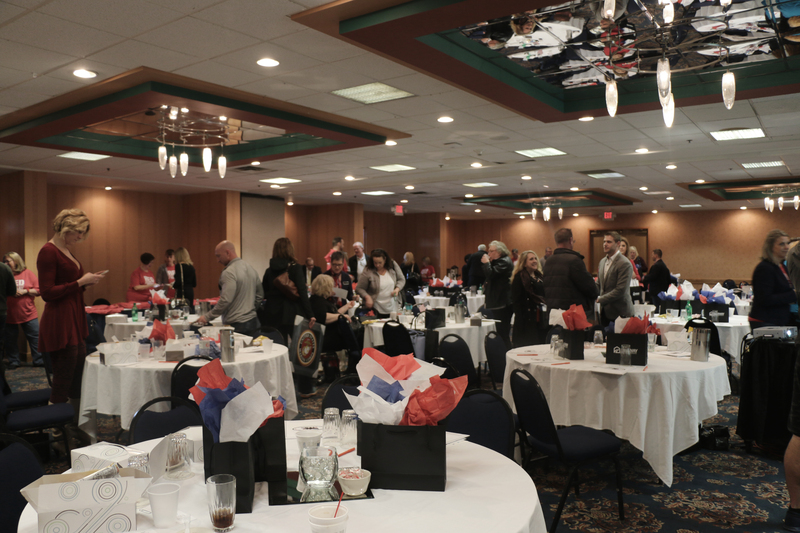 Louise Thaxton and Sean Parnell of the American Warrior Initiative came to Cincinnati to educate area realtors on how to best interact and assist veterans. 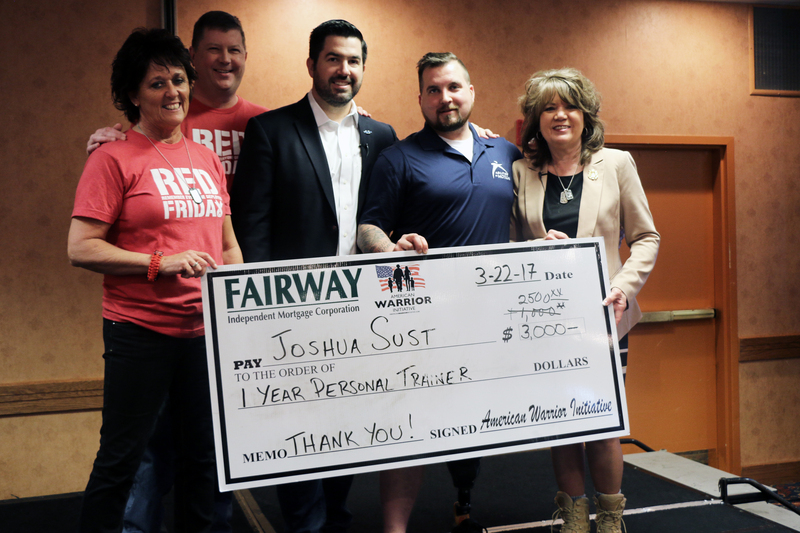 “My goal was to stir them, bring out their patriotic spirit and help thousands of veterans like Josh. None of us can do everything, but each of us can do one thing,” said Thaxton. Area realtors gather to learn how to best assist veterans returning home. The group recognizes the important role realtors can play in helping veterans once returning home from deployments. “Guys come back forever changed, sometimes with physical and mental injuries. It’s important for them to have a support group that reminds them that even though they come back different, it doesn’t change the core of who they are,” said Parnell. Josh made it clear that he intends to pay forward this opportunity, and that attitude is on display everyday at work. 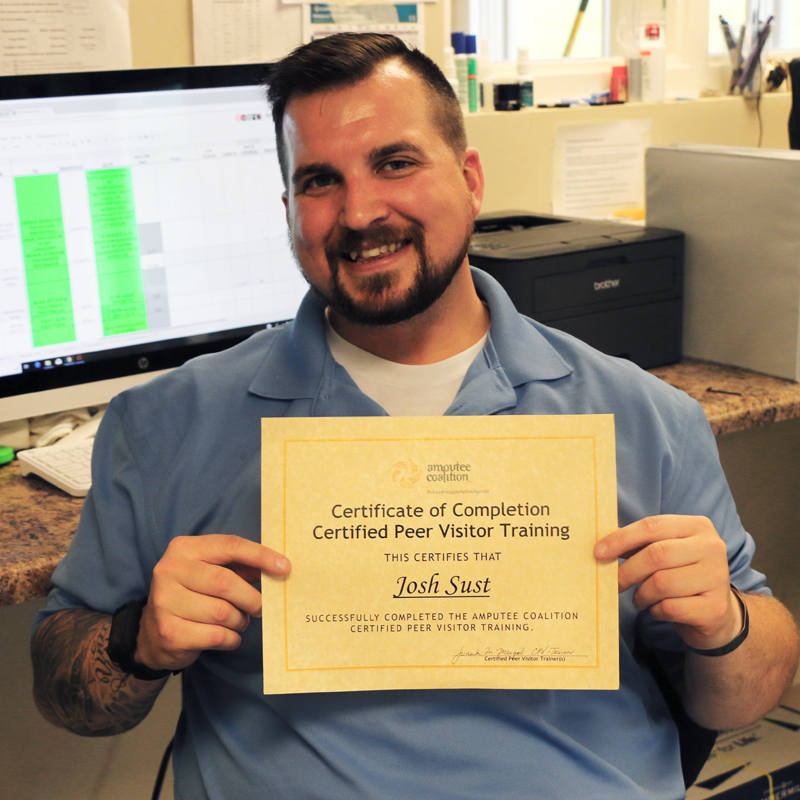 Josh’s injury has put him in a unique position to connect with the amputee patients he sees everyday at Abilities In Motion. “Every day he reminds our patients that their injuries do not define them, and he motivates them to overcome the challenges they face,” said Tom Walsh the Lead Prosthetist at Abilities In Motion. More information about the American Warrior Initiative can be found on their website at www.americanwarriorinitative.com. Before losing his leg in a vehicle accident, Scott Lane ran marathons. Abilities In Motion working to equip him for his next race and his active lifestyle. 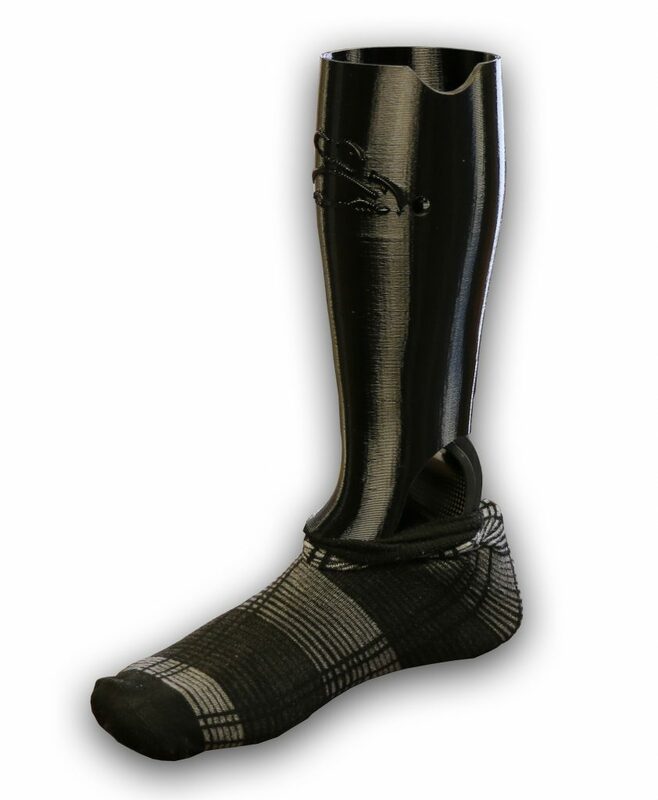 Scott’s prosthesis was fit with a custom cover printed in our lab on our 3D printer. Innovation is a core value at Abilities In Motion as we continue equiping athletes with cutting edge prosthetic legs. Scott Lane’s Endolite Echelon foot with custom cover. We have two locations. Our main office is a state-of-the-art facility at 11151 Kenwood Road, Cincinnati, Ohio. Our second facility, which is located at 5701 Cheviot Road in Cincinnati, Ohio, was opened by Thomas L. Walsh, CPO, LPO, FAAOP in August of 1995 to serve the greater Cincinnati, southeastern Indiana, and northern Kentucky areas. We would love to hear from you. Just give us a call at (513) 245-0253. 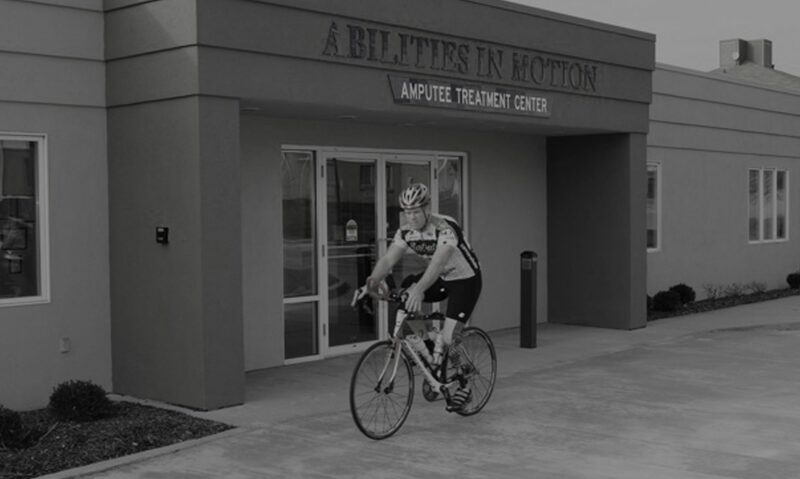 Abilities In Motion is an ABC accredited Prosthetic facility. Abilities In Motion Receives Highest Level of Accreditation in the Profession. Abilities In Motion proudly announces a Three-Year Accreditation award in orthotics and prosthetics by the American Board for Certification in Orthotics, Prosthetics & Pedorthics, Inc. (ABC). Abilities In Motion is recognized for achievements in the areas of Organizational Management, Patient Care Standards, Quality Assurance, Supplier Compliance and Facility and Safety Management. This award represents the highest level of accreditation achievable in the profession of orthotics and prosthetics. 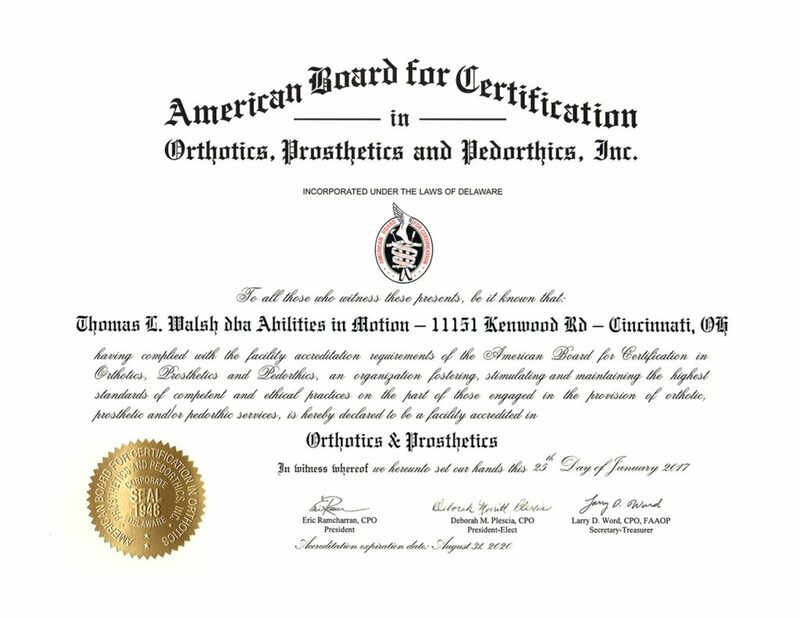 The American Board for Certification in Orthotics, Prosthetics and Pedorthics, Inc. has been credentialing practitioners and organizations since 1948 in accordance with established standards of excellence in the delivery of comprehensive patient care. A not-for-profit organization headquartered in Alexandria, Virginia, ABC’s mission is to encourage and promote the highest standards of professionalism in the delivery of orthotic, prosthetic and pedorthic services. ABC advances the competency of practitioners, promotes the quality and effectiveness of orthotic, prosthetic, and pedorthic care, and maintains the integrity of the profession.